To create animal pencil sketches or animal pencil drawings in a form of realistic drawings require some skill - to me it is called a 'proportionate skill'. A poster or an image of your favorite animal. If you don't have any images, Zoobooks offer free animal posters and stickers. Just click on the image below. A nice place to sit...because it might take you long hours before you finish your animal pencil sketch. A good art drawing pencil set consists of different grades of graphite pencils (B, 2B and 4B). Faber Castell, Mont Blanc, Bic or Steadtler are among the best art pencil brands. Another thing you need is a pencil eraser and a pencil sharpener, best kept in a pencil case. Of course, a piece of smooth surface A4 paper (preferably a 80gm photocopy paper). You can purchase your art pencil set at your local art suppliers or you can buy your art drawing pencil set online. 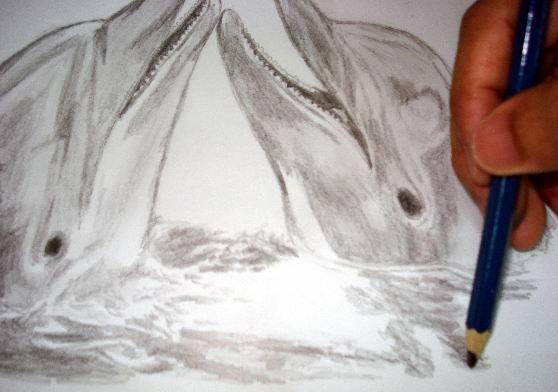 If you already have all that is required, than you can start your animal pencil sketches. Do you want to share your animal drawings? Have fun sharing it here! Found Your Favorite Animal Pencil Sketches? Share It Here! Or, do you have your own favorite animal pencil sketches or drawings captured in videos or photos? Share it to the world! My first drawing of a tiger. Do you want to draw animals? There are lots of books on how to draw animals presented in "Draw 50 Animals" by Lee J. Ames. 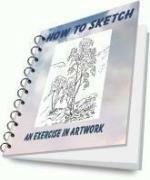 Have a look at another great site that will help you with Drawing Animals. Here, Nick Warren shows you how drawing animals are made easy with free online drawing lessons.